The turbulent history of the United States has provided a fertile ground for conspiracies, both real and imagined. From the American Revolution to the present day, conspiracy discourse—linguistic and symbolic practices and artifacts revolving around themes, claims, or accusations of conspiracy—has been a staple of political rhetoric. Some conspiracy theories never catch on with the public, while others achieve widespread popularity. Whether successful or not, the means by which particular conspiracy theories spread is a rhetorical process, a process in which persuasive language, symbolism, and arguments act upon individual minds within concrete historical and political settings. Conspiracy rhetoric was a driving force in the evolution of antebellum political culture, contributing to the rise and fall of the great parties in the nineteenth century. One conspiracy theory in particular—the "slave power" conspiracy—was instrumental in facilitating the growth of the young Republican Party's membership and ideology. 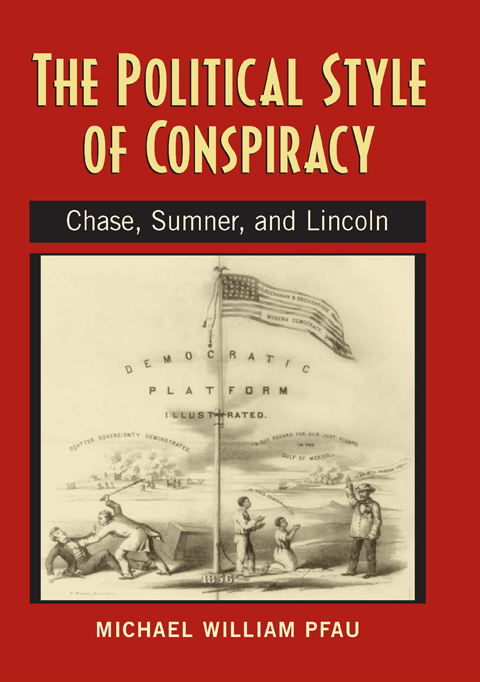 The Political Style of Conspiracy analyzes the concept and reality of the "slave power" in the rhetorical discourse of the mid-nineteenth-century, in particular the speeches and writing of politicians Salmon P. Chase, Charles Sumner, and Abraham Lincoln. By examining their mainstream texts, Pfau reveals that, in addition to the "paranoid style" of conspiracy rhetoric that inhabits the margins of political life, Lincoln, Chase, and Sumner also engaged in a distinctive form of conspiracy rhetoric that is often found at the center of mainstream American society and politics. Michael William Pfau is Associate Professor of Communication at the University of Minnesota–Duluth. .